Nine months in, the Tax Cuts and Jobs Act of 2017 appears to have had an impact on home value growth, according to a report from Zillow. However, according to the site, the impact is only slight and mostly limited to certain markets. Some of the changes brought by the December 2017 Act were a $10,000 cap on total state and local tax (SALT) deduction, lower threshold for full mortgage interest deductions, and higher standard deductions for most filers. Following the introduction of the Act, home growth appeared to have slowed particularly in areas with homeowners that historically used the SALT deduction, compared to areas with a lower percentage of homeowners who use the SALT deduction. Around 22 percent of tax filers used the SALT deduction in the typical U.S. ZIP code in 2015, and of those areas, the July 2018 annual home value appreciation was 0.3 percentage points lower than in fall 2017. In the zip code areas where 44 percent of tax filers typically took the SALT deduction, home value appreciation had slowed by 0.6 percentage points. Some specific markets saw the Act make its impact more noticeably, especially in metro markets on state lines. The Boston and Portland areas, which straddle the Massachusetts and New Hampshire and Oregon and Washington lines saw a large chunk of their residents take the SALT deduction. 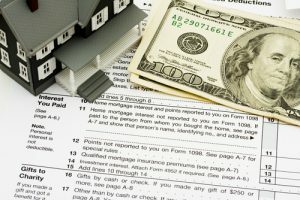 According to Zillow, In Boston, 41.2 percent of taxpayers took the deduction on the Massachusetts side, compared to 18.4 percent of filers on the New Hampshire side. After the Act was put in place, home value appreciation slowed by 1.3 percentage points in Massachusetts ZIP codes, while it increased speed by 0.5 percent on the New Hampshire side. It was a similar story in Portland. On the Oregon side, where 38.6 percent of filers took the SALT deduction, annual home value appreciation slowed by 0.5 percent, while Washington ZIP codes saw a 0.1 percent increase. Find the report from Zillow here. Next: How Long Will a Seller’s Market Last?